The Arizona Women’s Heritage Trail (AWHT) began in the fall of 2005 by a group of interested historical agencies and women’s organizations. Since then there has been a collaboration formed with Arizona State University which provides some funding and its tax exempt status. The Arizona Women’s Heritage Trail is designated as a legacy program by the Arizona State Centennial Commission. The mission of AWHT is to represent the diversity of Arizona women and their influence and impact on Arizona’s history. All geographic areas will be covered as well as all cultural and economic differences. This is basically a Web based project, although some cities such as Tucson and Phoenix have brochures for walking tours. The two main criterion for inclusion in AWHT are that: (1) the bulk of the woman’s contribution has to have been prior to 1975 and (2) she must no longer be living. The NGCHS, Inc.was contacted by a representative of Arizona Women’s Heritage Trail a little over a year ago. We began researching and contacting members of the community for their input. There were some names that kept coming up: Julia Randall, Belle Lovelady, Poly Brown, Nan Pyle and Theresa Boardman. We decided to nominate all of these women. On the nomination forms we needed to make a good case for why each woman was important in Payson’s history, and how she represented one of the themes set out by the AWHT, such as “women and work”, “women and education” and “woman and politics”. We learned last December that Theresa Boardman, Polly Brown and Julia Randall were selected to be included. In the future, we intend to try again to have Belle Lovelady and Nan Pyle included. It took several months for the information on these three women to be added to the AWHT Website, but they are now there. Theresa Boardman had a wide-ranging interview with Ira Murphy sometime in the 1980’s.She talked about the Tonto Apaches, dances, cemeteries, local families and much more. 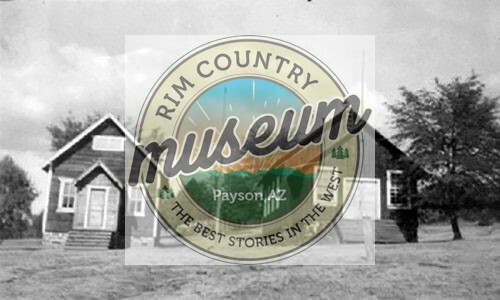 Ira asked Theresa about the July 4th celebrations held in Payson in the early days. Listen to the interview below. 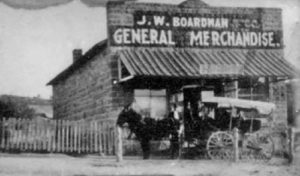 Boardman’s original store, at what is now the NW corner of Main St. and McLane. 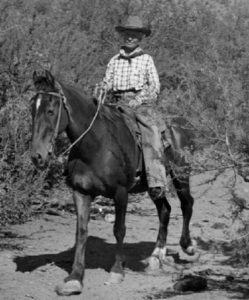 Polly Hicks Brown, rancher, hotel owner, freight driver, and business woman was always at home on a horse. 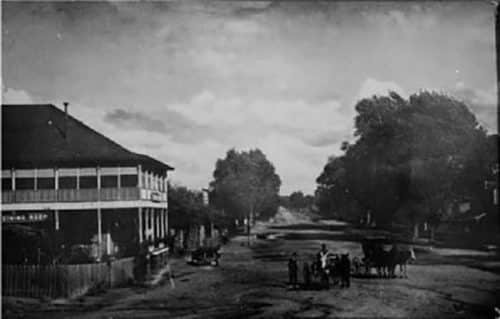 Her businesses included the Herron Hotel, Elk Bar, Sixteen-to-One Saloon, Cowboy Corral on the Beeline and the Rim View Motel. The Herron Hotel burned down in 1918, just after the Browns purchased it. Photograph taken by Max Partch in 1986 at a NGCHS function. Julia Randall’s father took the job of Superintendent of the Grand Prize Copper Mine, which brought the Randall’s to the Payson area in 1901. Ira Murphy in a 1986 interview asked Julia about her house. Listen below for her response. 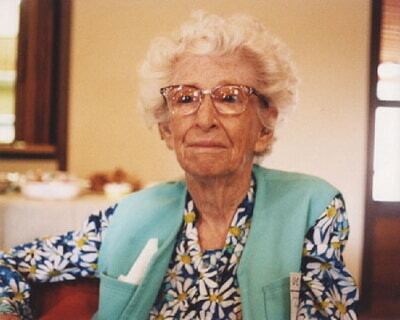 Link to Arizona Women’s Heritage Trail Website for more amazing stories about women in Arizona history.